Are You Looking for Pictures of Nursery Rooms to Inspire Your Nursery Design? Look No Further. 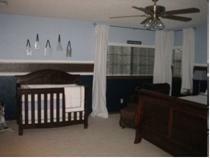 Come and Check Out Our Ever-Expanding Gallery of Baby Room Pictures Sent In By Other Moms Just Like You! 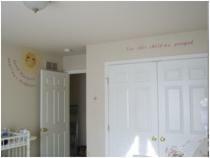 Ordinary, down-to-earth moms from all walks of life have submitted baby nursery pictures to help you with nursery ideas. So take a look and be inspired! The baby nursery pictures on this page are thumbnails. 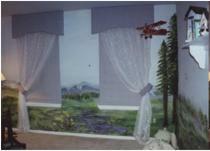 To see the full size nursery picture, click on the caption below the pictures. 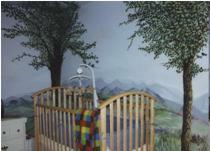 You will also find more photos from the same nursery rooms and information about how on earth she did it! Our Ethiopian Princess Nursery Idea was submitted by Rhonda of Saskatchewan, Canada. This Mountain Outdoors Nursery Idea was submitted by Sue Graber. This Safari Nursery Idea was submitted by Tessa Winn. This Modern Airplane Nursery Idea was submitted by Ashley Franks. 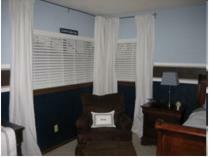 This Painting Checks Nursery Idea was submitted by Roger and Abby. This Dotty Modern Nursery Idea was submitted by Chris Moseley. 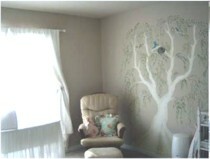 This Vintage Birdie Nursery Idea was submitted by Mark and Kat Phillips. 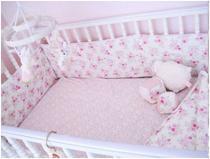 This Green and Pink Nursery Idea was submitted by Shealy McKinnon. This Vintage Inspired Nursery Idea was submitted by Sarah. This Flower Garden Nursery Idea was submitted by Kathy.